Chalk. That’s one way to describe the Illinois-Longwood game on Wednesday. 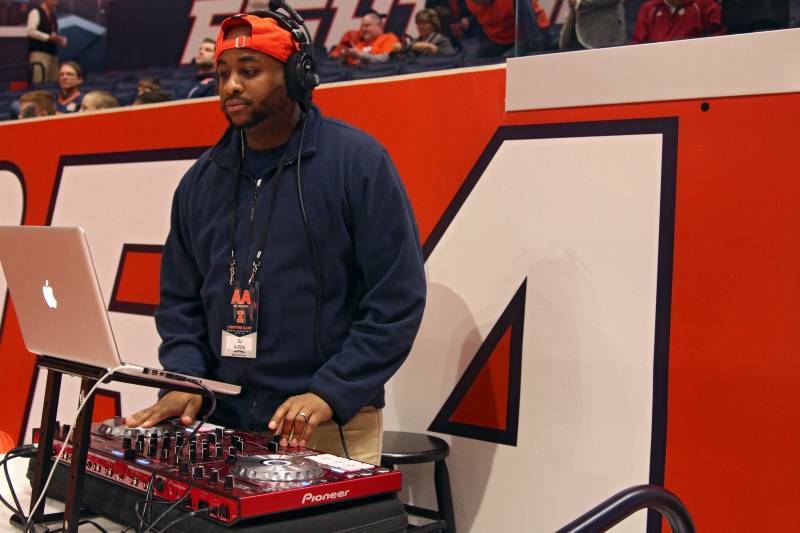 The Illini were favored, the Illini won, and then some. It was as it was predicted to be. In a game as easy as this for the hosts, it’s a little hard to describe without reverting to “Longwood is, unfortunately, a bad basketball team.” But, as always, thank goodness for numbers. The most obvious numbers, the score. Illinois (8-4, 0-2) didn’t lead wire-to-wire, but they trailed for just 1:20. Four players reached double-digit scoring, Aaron Jordan (22), Trent Frazier (20), Michael Finke (19), and Mark Alstork (10). 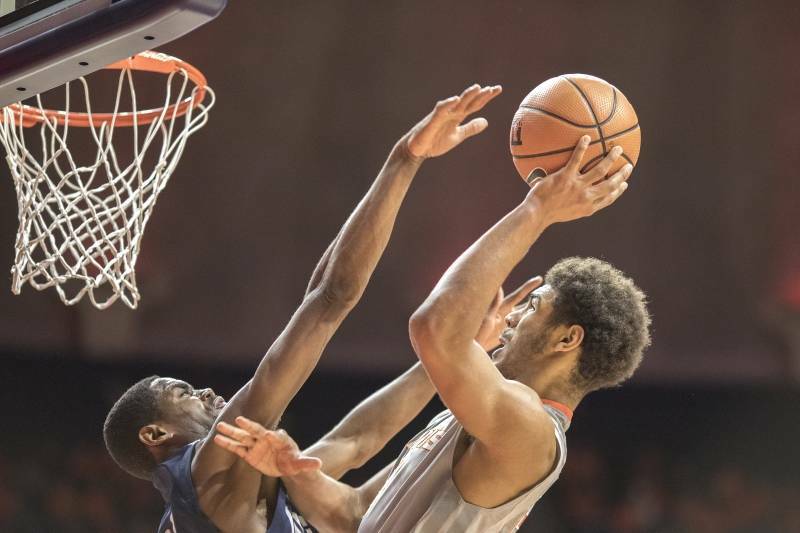 The Illini had 55 rebounds, including more offensive rebounds (27) than Longwood had total rebounds (23). 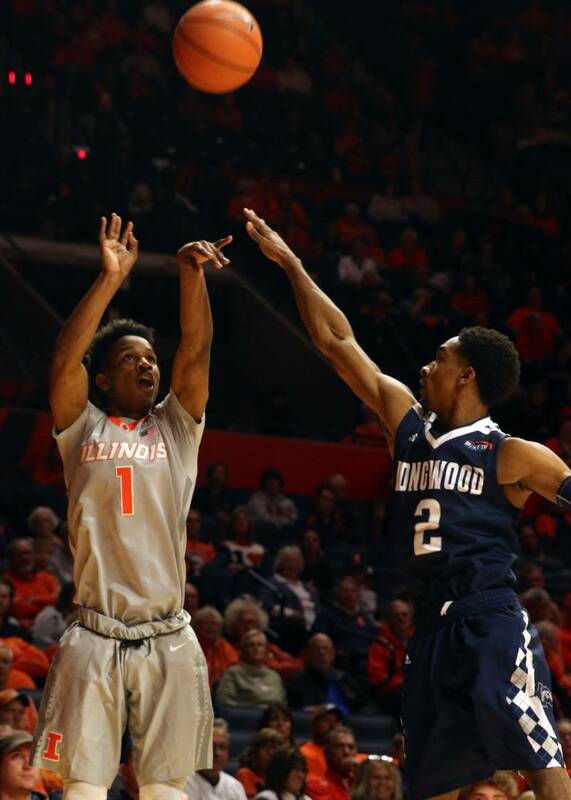 From those offensive rebounds, the Illini scored 29 second-chance points; Longwood had zero second-chance points. Illinois scored 34 points off 24 turnovers, including 12 steals, but only turned the ball over 11 times. Te'Jon Lucas stands six feet tall. That’s above average for males but it’s well below average for basketball players; it’s even below average for Division I point guards. 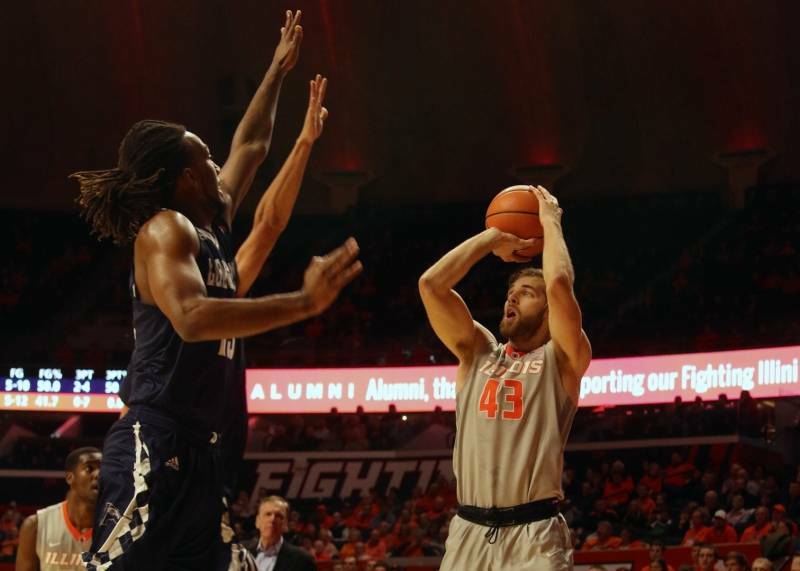 However, Lucas finished the first half leading the Illini with 4 rebounds, which was also more than the number of times Illinois turned the ball over (3). Lucas finished the game tied with Finke and Alstork with a game-high 7 rebounds. 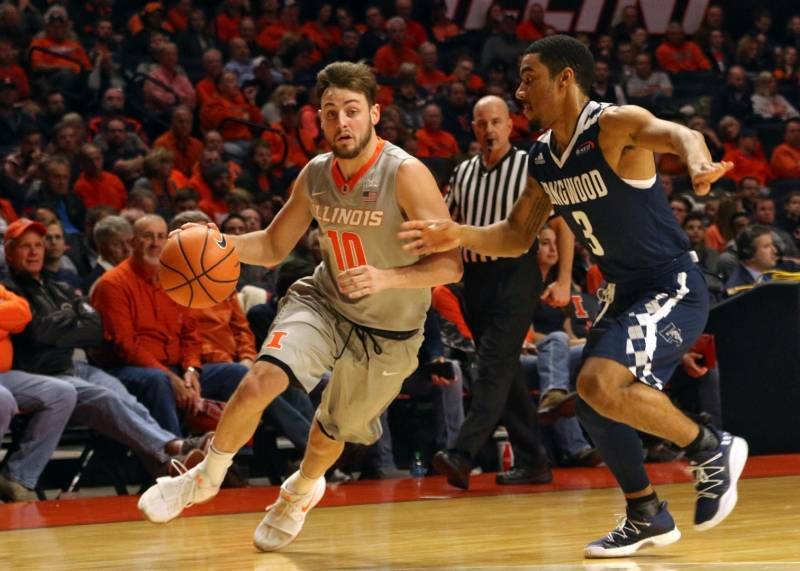 Illinois has 4 walk-on players, 3 of whom were able to rack up a total of 16 minutes against Longwood. 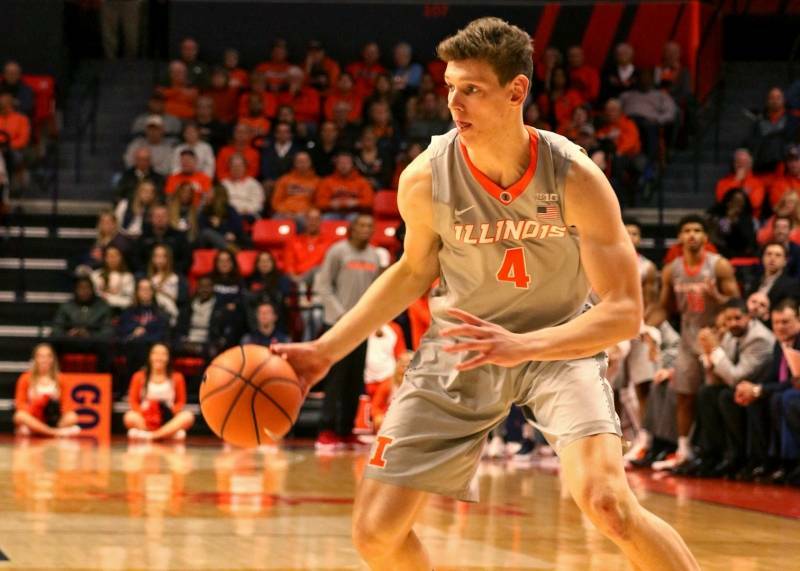 Drew Cayce, playing his first season with the Illini, actually got into the game in the first half, playing 2 minutes, grabbing a rebound, and even drawing a foul in the opening 20 minutes. Matic Vesel, already everyone’s favorite Illini and large person I believe we should call the Slovenian Sledgehammer, got his first points in orange and blue (and silver, I guess) on a tip-in against Longwood. He improved to 1/3 shooting at Illinois, a respectable 33%, but missed 4 free throws on Wednesday. After falling behind 10-12 at 12:27, after missing their first 7 three point attempts, the Illini rattled off 6 straight made threes. Aaron Jordan finished the game 4/8 from deep, and now places 5th in three point shooting (.604), 3rd in true shooting percentage (.790), 1st in offensive rating (154.6), 10th in win shares per 40 minutes (.302), and 8th in offensive box plus-minus (10.1) nationally. The Illini finished shooting 11/34 for 32.4% from behind the arc, which is the same percentage of seats that were filled at State Farm Center (approximately). 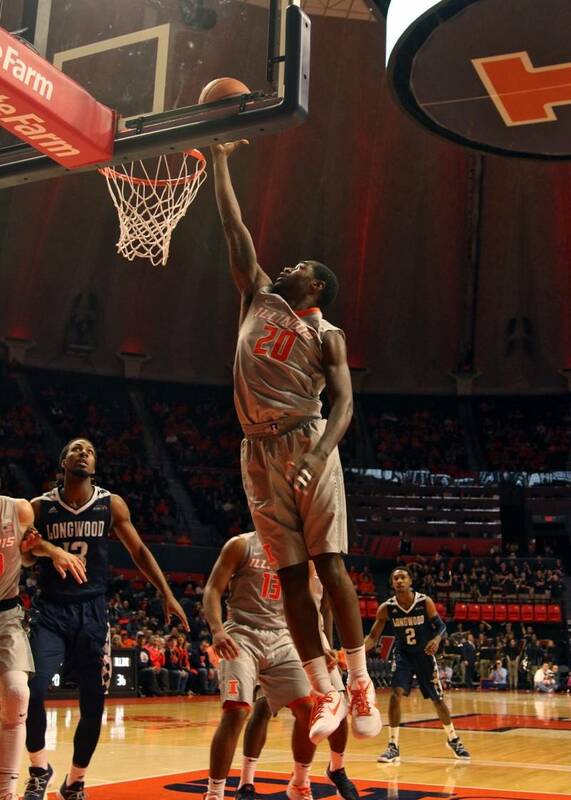 In Las Vegas last Saturday, Illinois tied a school record by fouling UNLV 36 times. Underwood admitted that was, uh, not so good, and said his team needed to improve. Mission accomplished. The opposition certainly has to be a consideration, but still, 13 fouls is very good, especially in the context of the previous game. 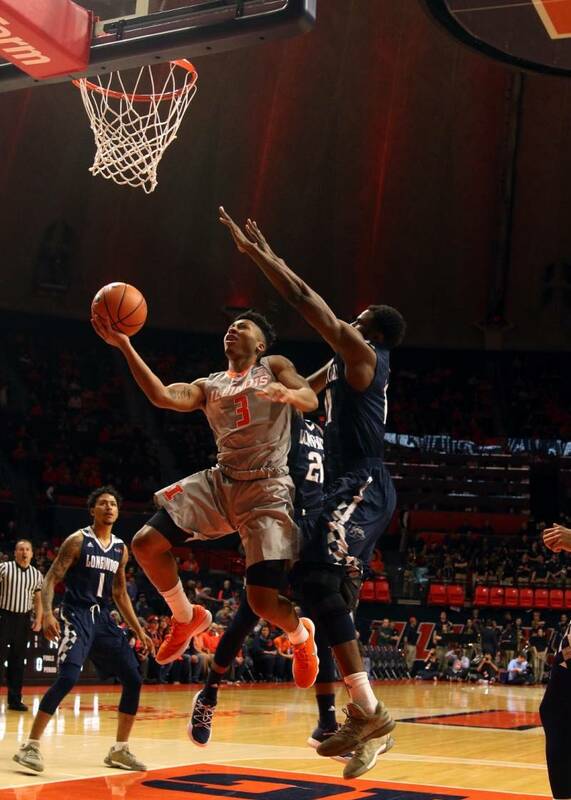 In his last 4 games, Trent Frazier has shown what made him such a highly regarded recruit. He’s played a total of 88 minutes, 13 more than fellow point guard Lucas, and scored 50, dished 14 assists, and only turned the ball over 7 times. He did not get the nod to start against Longwood, but his day seems to be coming. Every year, teams use the non conference schedule to learn about who they are and to grow. 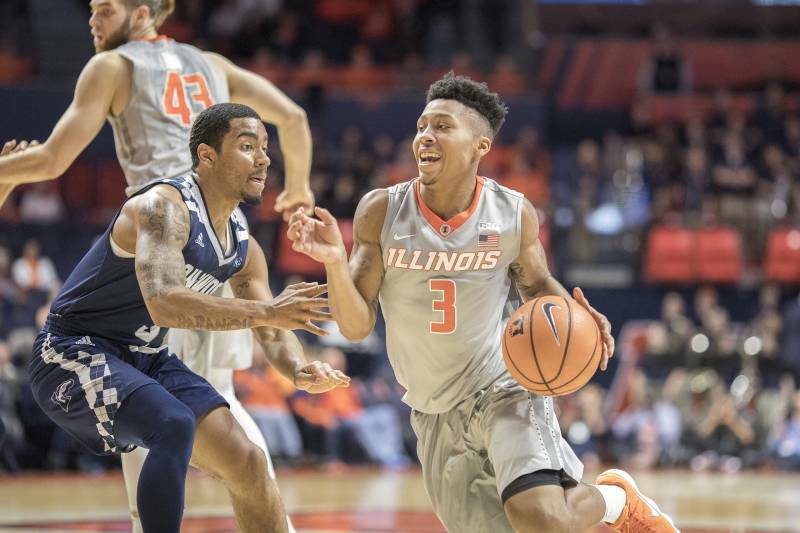 As this was always going to be a rebuilding year for Illinois, it seemed obvious that who the team was in January would be different than who it was in November. 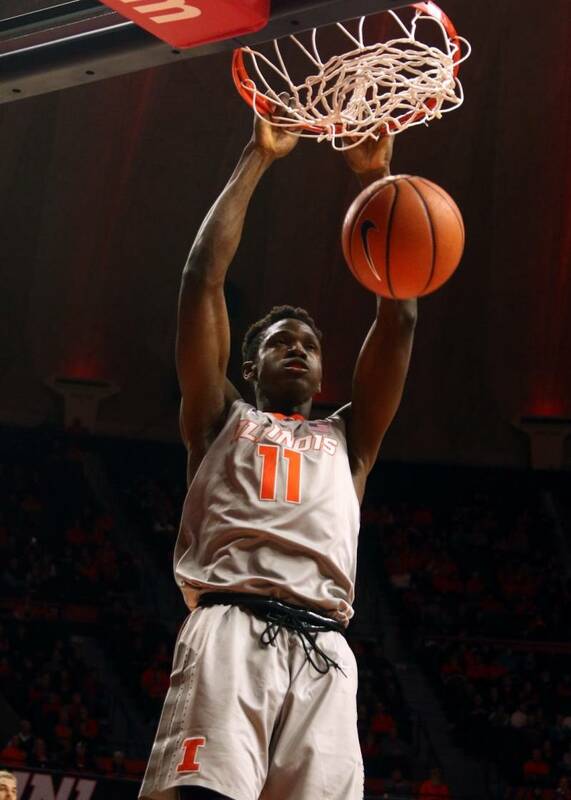 Maybe it was the addition of conference games in December, maybe the baby Illini are actually really good, but over the last two games Illinois’s freshmen have been electric—much better than they were in the first four games (perhaps with the exception of Mark Smith). 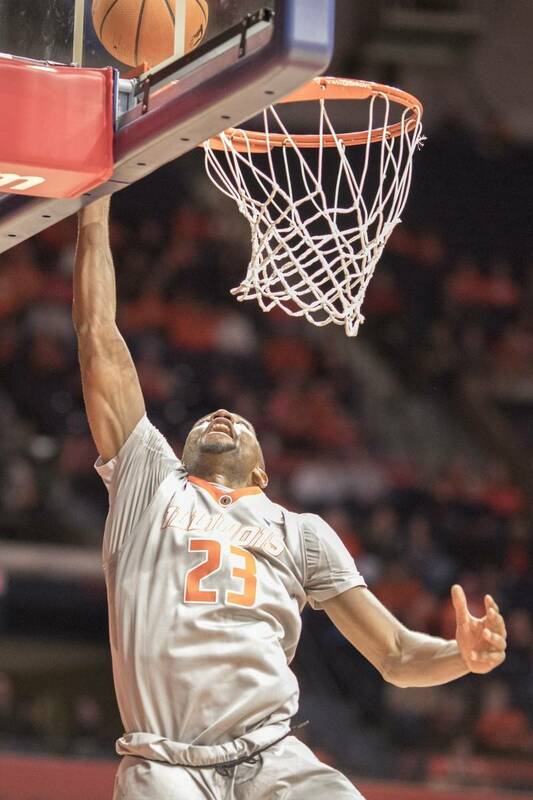 Besides Frazier, Smith, DaMonte Williams, Greg Eboigbodin, and even Vesel have been contributors for Illinois in the last 80 minutes of play. Collectively, they’ve scored 80 points and given Underwood and fans alike a lot of hope. Longwood went the last 5:54 scoring only a single free throw and a 3 with 17 seconds to go and the Illinois defense pretty relaxed. Here is the number that looms over every other one in this article. It’s Longwood’s overall ranking according to KenPom before, 343, and after losing to Illinois, 346. That’s out of 351 teams. They are simply not a good team. DIII Augustana, whom Illinois torched earlier this season, would hang with these dudes, and maybe win. Longwood are 302nd in points scored, though only 118th in points allowed, which makes what the Illini did a tiny bit more impressive. 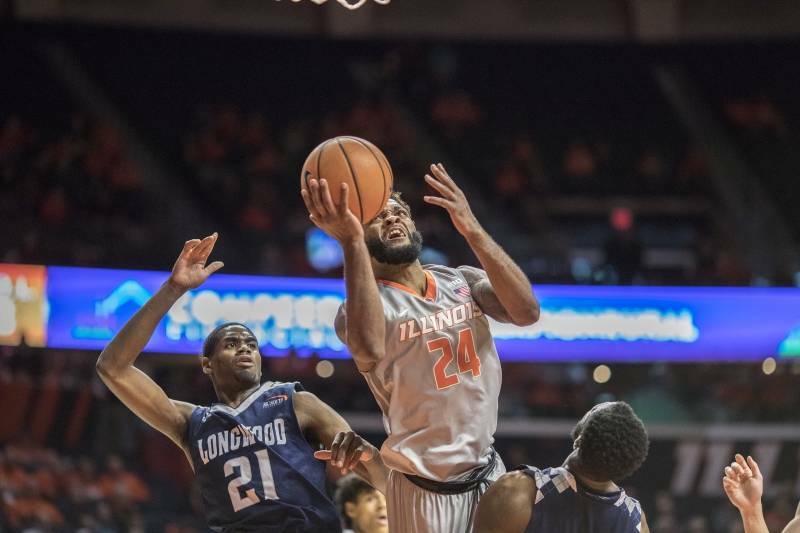 It was a good confidence-builder for Illinois, but beating the snot out of Longwood hardly preps Illinois for New Mexico State on Saturday, or even Grand Canyon the next time State Farm Center hosts a game on December 30. It was a good game by the Illini, but that’s all.